All of the reviews below are taken directly from our Check-a-trade business page, and are verified reviews from genuine customers. We pride ourselves on the service we provide to our customers and treat your homes as though they are our own. 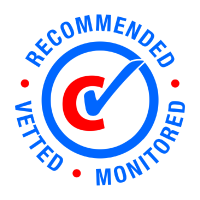 If you want to read any more reviews of our service please check our Check-a-trade page by clicking the logo. Great job!! Nice guy!! Would use again and recommend!! The work was carried out tidily and efficiently. Rob explained everything he was doing and gave good instructions on how the new boiler worked. We didn’t have to worry about a thing. We will certainly be employing Rob in the future. Both jobs have been completed exceptionally well and in very short space of time. Rob was very professional from our first call and will definitely be using him again in future. Strongly recommended. I called Robert at short notice to fix a blocked toilet. Robert turned up shorty afterwards and was extremely professional, polite and reliable. He kept me informed of the cost of the job and waited for me to confirm I was content with the price before proceeding. I would have no problems recommending Robert to others and will definitely be using his services again. Once again, excellent work from Rob. We’ve already booked him for two more jobs at least. Absolutely excellent. We highly recommend Rob. Kept me informed re time of arrival, job finished quickly and efficiently. We will be using Rob for other work that we need doing. Helped my elderly mother during the snow whilst no heating/hot water in house due to frozen pipes leading to boiler. Cannot compliment this man enough. He said he would get to her this afternoon, and he rang me beforehand to say he was nearby. My mother stated that he was so polite and helpful that would definitely use him again.